Tara Tomei is Senior Manager of Channel Sales at Carbonite and has more than 12 year's experience in IT channel sales. Tara has an extremely well rounded background, covering both inside and outside sales as well manufacturer and reseller positions. In her current role, Tara is responsible for supporting Carbonite VAR partners through her team of Channel Account Managers who cover North America. 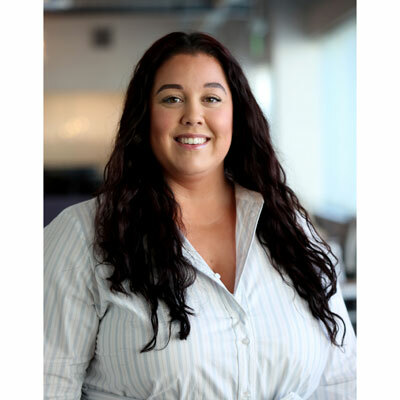 She and her team are focused on business development, developing new VAR channel partners, setting sales strategies and achieving sales targets. She specializes in maintaining and enhancing existing relationships with channel partners across the region. In the past year Tara has recruited some truly talented people to join her CAM team, bringing their various strengths to further our go to market mission of making our channel program truly remarkable. She also has worked tirelessly to stand up a brand new Mid - Market channel team with two missions: recruiting and onboarding new partners and winning back and growing existing partners. This has yielded great results for our company as new and previous partners are learning the new Carbonite portfolio and are being reinvigorated to lead with our solutions once again. My goal for the channel business in 2018 is for us to go wider and deeper within our partner community than ever before by leveraging our many cross - sell opportunities that lie within our portfolio. Carbonite is uniquely positioned to cover a customer's backup from end - point to servers needing high - availability or DRaaS and I want our partners to be able to grow not only their mindshare with customers, but their margins and their own ease of management by positioning our technologies. Last year I was named to the 2017 Women of the Channel list as well as the Up and Comers list which was a huge honor for me. Every single one of my mentors is a woman and has been on these lists before and I set a goal that I would make the list in 2017 and they helped me get there. While this may be unorthodox, a woman I admire is Rihanna. She is a woman from a small town on a small island and has made this huge career for herself while never forgetting where she came from. She is extremely philanthropic, creating a charity in her grandmothers name the Clara Lionel Foundation and more recently becoming the Global Partnership for Education Ambassador. She is strong, authentic, feminine and all about women empowerment. The advice I would give my 16 year old self would be to have more fun and don't take everything so seriously. As a teenager, everything is very dramatic and you spend so much time in the theatrics that you miss out on just being a kid. I would love to go back and spend more time outside or with friends driving around having no responsibilities! There are a lot of skills I would love to master right now and know I will as I continue to grow but a few are EXCEL (Pivot Tables, Vlookups I almost have you down! ); assertiveness; technical knowledge and analytical ability. The best book I have read this year is Final Girls by Riley Sager. After a long day of working hard, it is nice to curl up with a great whodunit!